I really want to thank Jennifer Mack and David LeDoux. They are outstanding narrators. I felt Jennifer Mack gave a performance as opposed to simply reading a book. She must have felt Meredith Wild's work in a very emotional, personal way... she found the rhythm in the story, making the story sound like a poetry slam. I can't begin to describe how happy that made me. 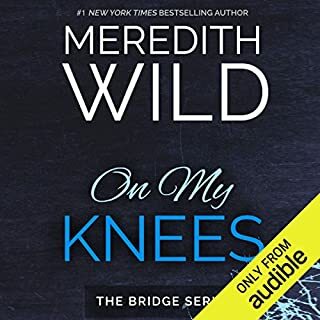 This is by far my favorite book from Meredith Wild, as yet.. On My Knees captured my heart and my imagination from the very first words. I highly recommend this boim to anyone who enjoys a hot romance. No Limits in this Book! If you could sum up Hard Limit in three words, what would they be? At first I was in shock, because I have created a "voice" for both characters over the year or so since starting the series. The voices just seemed... off at first. I couldn't get into the story for these bland voices. There are some settings I found to manipulate and I started the book from scratch. 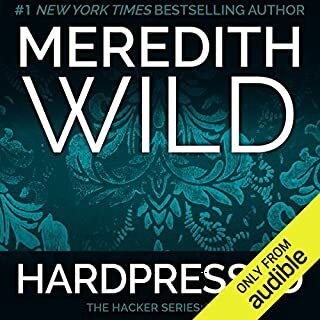 While I would still like a little more bass, slowing the voices created an entirely different experience that allowed me to enjoy the continuing drama of my favorite characters in contemporary literature! I would like to give a hearty congratulations to Jennifer Stark who did not succumb to the need to sound like a man when speaking the male dialog. She was able to change her voice without sounding ridiculous. My reaction to the hard limit was extreme to say the least. I ruined a perfectly good shirt trying to take a sip of wine while listening! Meredith Wild knows how to keep a reader invested in her stories. 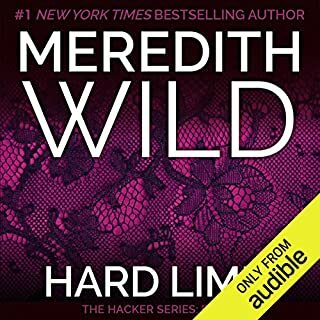 I would love the ability to further manipulate the recorded voices because I am all about that bass and that is sorely lacking in most of the books I've listened to using Audible.